Voice your opinion! Review Best Western now. 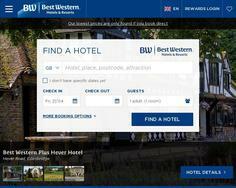 Is Best Western your company? Book any of the 250+ Best Western hotels across Great Britain and enjoy a great short or weekend break in a stunning location. Our low web prices can’t be beaten.